When we get together with you, our job isn’t to ‘fit you for new Irons’; it’s to help you enjoy the thrill of hitting better golf shots. How much variation is there in the distance you hit each Iron, and where in your Iron set does your consistency break down? 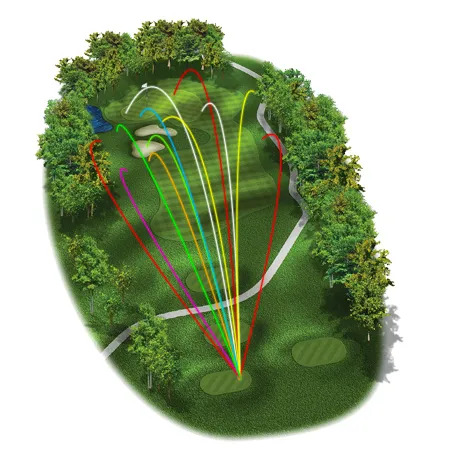 Do you have a prevailing shot shape (and what is it) or is there a lot of width between where you hit your approach shots? Do you struggle to create enough loft to generate good distance, or at the other end of the scale, do you have a tendency to hit your iron shots too high? If you’re looking to hit better approach shots then the best place to start isn’t actually with a new Iron in your hand. The right place to start is in a conversation with us. Let’s assess your golf swing and current equipment and talk about the best way to get you hitting better golf shots more often.